Edward Friedman, a founder of Friedman Kaplan, has built an exceptional reputation for his work on behalf of public and private companies and investment firms in complex commercial litigations and arbitrations, including in matters of first impression. He has substantial, ongoing experience as lead counsel in significant jury and non-jury trials and arbitrations, and has achieved numerous victories for his clients in trials and on appeals in federal and state courts. Mr. Friedman’s practice focuses on securities, complex contractual, bankruptcy, fiduciary duty, insurance, accountants' liability, and employment litigation and arbitration. He also represents AmLaw 100 law firms in defense of claims of malpractice, as well as corporate boards and special committees in connection with internal investigations and derivative lawsuits. Over the course of nearly a decade, Mr. Friedman and the firm represented two hedge funds pursuing claims against the Republic of Argentina to recover on defaulted bonds. The firm's clients recently finalized a settlement with the Republic in which they recovered approximately $1.3 billion. The litigation involved novel issues of contract, creditor and judgment enforcement law, and their intersection with the Foreign Sovereign Immunities Act. Representation of U.S. Bank National Association in its capacity as indenture trustee of certain notes issued by Windstream Services, LLC in connection with litigation concerning an alleged default under the indenture. Mr. Friedman and the firm litigated the matter through trial, with the court ultimately ruling in favor of U.S. Bank on all points, and finding that Windstream had in fact breached the indenture. Representation of a member of one of the world’s wealthiest families in litigation and a six-month trial involving a will contest and claims of undue influence. Mr. Friedman continues to handle this matter on appeal. Representation of companies and individuals with respect to non-compete, non-solicit, and confidentiality agreements and related matters. Representation of a major international law firm in appealing from a jury verdict of legal malpractice and award of damages against the firm. The Appellate Division, First Department reversed the judgment against the firm’s client, and dismissed the case in its entirety. Representation of Delphi Corporation in bankruptcy litigation against a group of investment banks and hedge funds alleging breach of a $2.55 billion equity financing commitment. Representation of one of the largest Russian steel companies in defense of breach of contract claims brought by a multibillion-dollar U.S. steel company after our client failed to consummate an acquisition of the plaintiff. Representation of the Special Litigation Committee of the Board of Directors of the H.J. Heinz Company in the investigation and evaluation of shareholder demand letters and actions filed in connection with the Board’s approval of Heinz’s $28 billion merger transaction with Berkshire Hathaway Inc. and 3G Capital Partners Ltd. 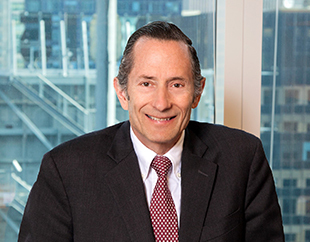 In addition to his practice, Mr. Friedman serves as a court-appointed mediator in the U.S. District Court for the Southern District of New York. He has also been a member of the Committee on Federal Courts of the New York City Bar Association and the Intellectual Property Committee of the American Bar Association's Section of Litigation.